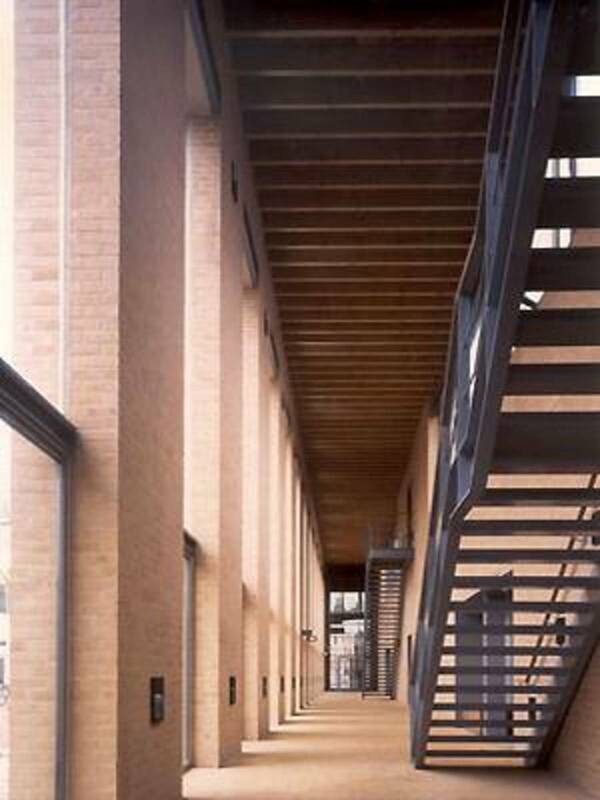 Dixon & Jones¿s project allows the city of Oxford to restore its relationship with contemporary architectural vocabulary; the project under discussion occupies a strategic location situated along one of the city¿s main access routes. This work of sober monumentality expresses classic rationalist severity and a strong awareness of urban space. The area (100 x 120 m) was previously occupied by a parking lot serving the railway, which prevented formal conclusion of the railway station building. The new construction was intentionally built along the perimeter of the lot so that it has a clear relationship with the various urban and architectural elements surrounding it on its four sides. The intention of setting up a dialogue which consistently resolves the complexity and contradictions of the various contextual appurtenances of the facades is clear. The western side of the building faces toward the main facade of the station building, redefining the space in front of it on an appropriate urban scale. The southwest side represents the "urban" facade par excellence, for the cascade of glass contained by the two brick wings defines a space which serves as a filter between the public and the private. D. Chipperfield, The River & Rowing Museum a Henley-on-Thames.